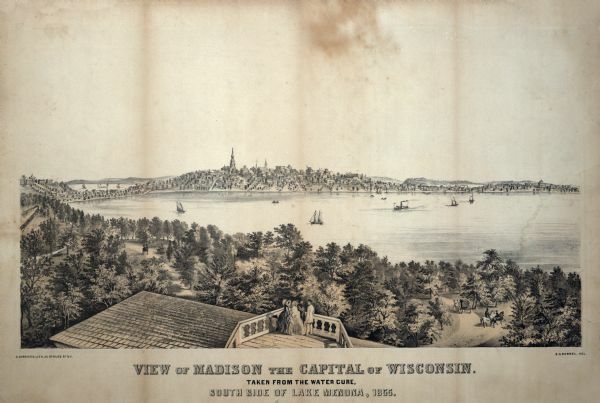 Bird's-eye view of Madison. "Taken from the Water Cure, South Side of Lake Monona, 1855." One of about a hundred prints published by Charles Currier. The Water Cure, a large hotel-spa facility built by George P. Delaplaine and Elisha Burdick in 1854, echoes Madisonian view of town as a resort and set precedent for Madison's resort industry. Now the land is Olin Park.